Make yourself at home in one of the 19 air-conditioned rooms featuring minibars and LCD televisions. Rooms have private furnished balconies or patios. Complimentary wireless Internet access keeps you connected, and satellite programming is available for your entertainment. Bathrooms have complimentary toiletries and hair dryers. Grab a bite to eat at one of the apartment's 10 restaurants, or stay in and take advantage of the 24-hour room service. Snacks are also available at the 12 coffee shops/cafés. Need to unwind? Take a break with a tasty beverage at one of the 12 bars/lounges. Make yourself at home in one of the 42 air-conditioned rooms featuring refrigerators. Rooms have private furnished balconies. Complimentary wireless Internet access is available to keep you connected. Bathrooms have showers and hair dryers. Make yourself at home in one of the 64 air-conditioned rooms featuring refrigerators. Rooms have private furnished balconies or patios. Bathrooms have showers and complimentary toiletries. Conveniences include blackout drapes/curtains, housekeeping is provided daily, and cribs/infant beds (complimentary) can be requested. 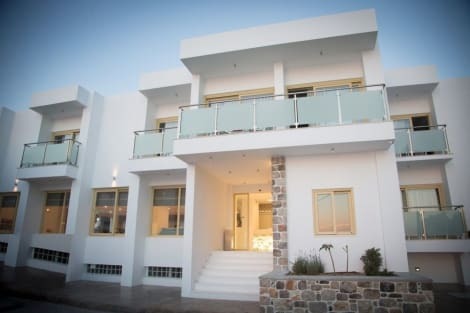 Located in Kalymnos, Petra Boutique Homes is by the sea, within a 10-minute drive of Grande Grotta and Massouri Beach. 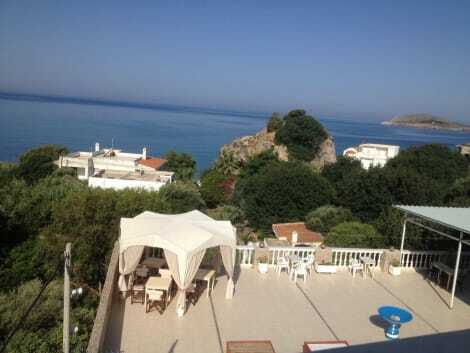 This villa is 4.1 mi (6.7 km) from Myrties Beach and 4.3 mi (6.9 km) from Melitsachas. lastminute.com has a fantastic range of hotels in Kalymnos, with everything from cheap hotels to luxurious five star accommodation available. We like to live up to our last minute name so remember you can book any one of our excellent Kalymnos hotels up until midnight and stay the same night.